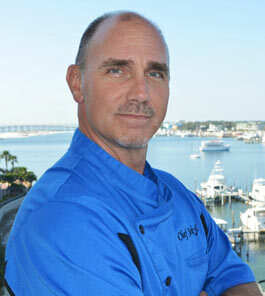 Chef Jekyll is a licensed private chef specializing in Local Seafood, Italian, American and Southern Comfort cuisines. His clients include private individuals and business people in the Destin area, and families or other groups visiting throughout the Emerald Coast region of the Florida Panhandle. Returning to Destin in 2011 after a long military career, Chef Jekyll has cultivated the local roots that were planted here among the emerald seas and white sands 40 years ago. Inspired by his travels around the world and residence on three continents, this established entrepreneur has honed his culinary skills to a fine edge. Chef Jekyll has always had a passion for food. As a young teen, he often fished and scalloped in Santa Rosa Sound and Choctawhatchee Bay. He was also a regular on his dad’s fishing trips in the local inshore and offshore waters. Alongside his dad, he helped prepare all the seafood delicacies abundant along the Emerald Coast, simply and elegantly, allowing the natural flavors of the ocean to dominate. 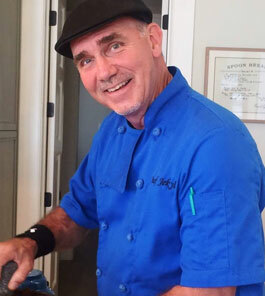 Chef Jekyll gained valuable cooking experience in the mountains of North Georgia, working at the family barbecue restaurant, and then worked his way through college at Red Lobster in Nashville as a busman and line cook. Serving in the Air Force for thirty years gave Chef Jekyll and his family the wonderful opportunity to travel around the world, where his passion for delicious food and wine was further fueled. Assignments in Germany, Italy, Korea and Hawaii gave Chef Jekyll a wide variety of gourmet experiences, and many visits to India, Singapore, Thailand, Central Europe and Turkey exposed him to the exquisite flavors of those regions. Now Chef Jekyll is armed with recipes and techniques that will be both dazzling to your senses and pleasing to your palate. Let Chef Jekyll thrill you at your next special occasion or beach vacation!